Sunset behind palms and rice paddies in Ubud, Bali. 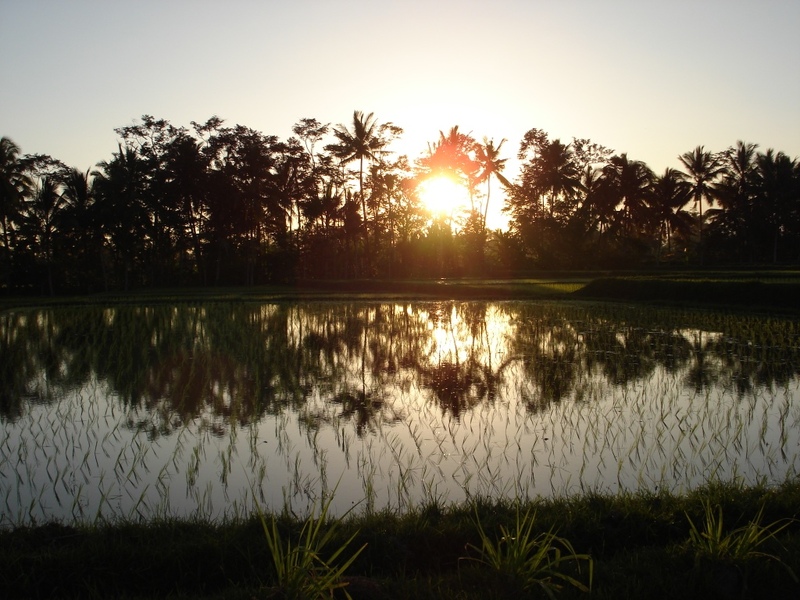 During my first trip to Bali we stayed in a villa in the middle of the rice paddies and went for a walk around the area just before sunset. From a distance we could hear the chanting and drumming in a nearby temple and the air smelled of flowers and incense….